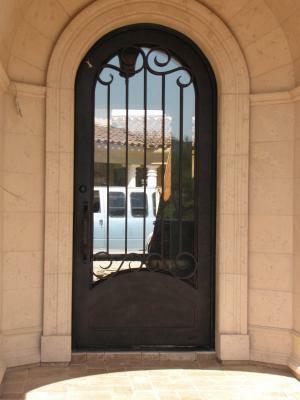 Grace your guests with your personally customized iron entry door. Featured above is one of our Corsica doors built for a family in Paradise Valley Arizona. The straight bars provide a more elegant style matching their family’s needs. Our welders crafted the perfect amount of scroll work for them along the top and bottom. Your custom door’s reflective glass will make for a beautiful impression as well as keep your family’s privacy.